Visit REI's Lightweight MTS Polartec Power Dry Zip-T page. 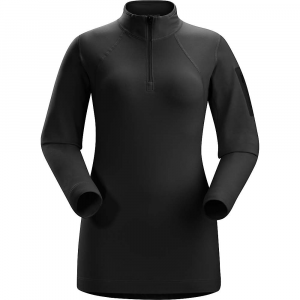 The women's REI Lightweight Polartec(R) Power Dry(R) Zip-T can be worn alone or used as a performance insulating layer. Polartec Power Dry utilizes 2 different yarns on either side of the fabric to enhance comfort: interior yarn wicks moisture, and exterior yarn dries quickly. The combination of the 2 yarns helps keep you dry during highly aerobic activities because it moves moisture away from skin faster than single-component fabrics such as cotton. 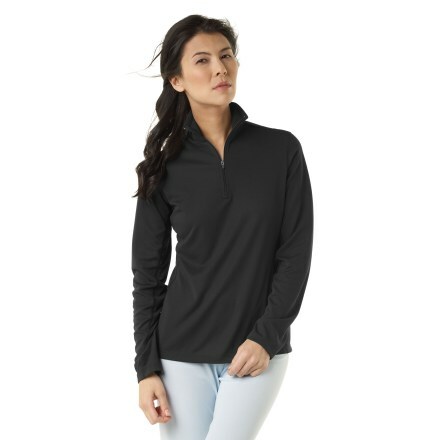 The REI Lightweight Polartec Power Dry Zip-T features an updated fabric that protects skin against harmful ultraviolet light with a UPF rating of 20. Center front zipper allows ventilation control. 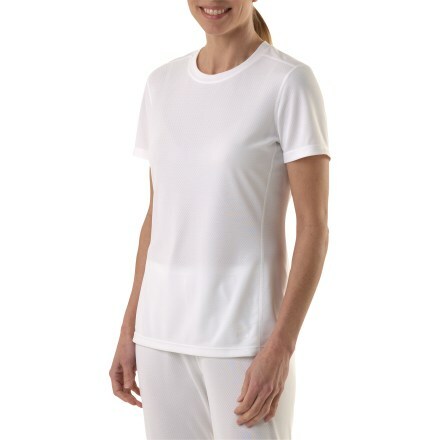 Flatseam construction is soft and non-chafing next to skin, and seams are designed to work under pack straps at shoulders. Underarm and side gussets promote freedom of motion. 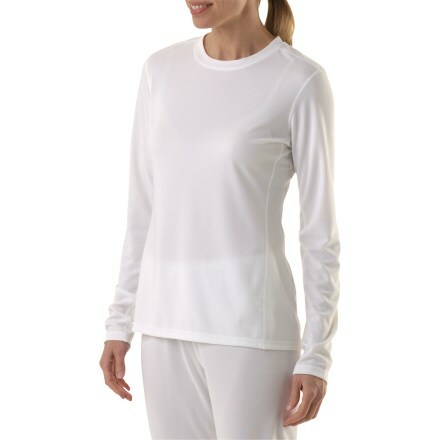 Non-bulky fit makes it really easy to layer under a shell or additional insulation. Dropped back hem stays tucked in. The women's REI Lightweight Polartec Power Dry Zip-T features a next-to-skin fit that hugs the body and boosts fabric performance. 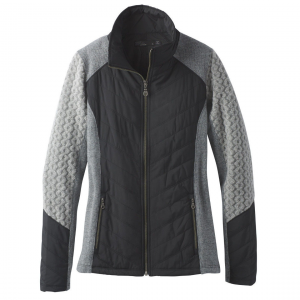 The REI Women's Lightweight MTS Polartec Power Dry Zip-T is not available from the stores we monitor. It was last seen August 14, 2012	at REI.